Summertime, summertime! Life is good, you're out of school, theme parks are open, you're out of school, burgers are on the grills, and you're out of school--I think you get the idea. Life is also busy at the library during the summer. In fact, it's our busiest time of year and that's why the Iron Guy hasn't written much lately. We've been fortunate to have guys like Winnux send in cool reviews but now I'll talk, over the next week or two, about a few things I've read and liked. The first is Yeah, Yeah, Yeah! 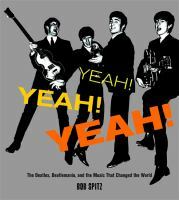 The Beatles, Beatlemania and the Music That Changed the World by Bob Spitz. It's a terrific book, a really good story and chock full of information for old Beatles fans like me or new fans--maybe like you! And to prove how great those guys were, here is a video of the Beatles in their early days doing "Twist and Shout." It's a compilation of their different styles in their earlier days but just listen to this--hear that snarl in John Lennon's voice, then listen in wonder as he strains it upward for the upper reaches of what a voice can do, and watch Paul and George rock out on bass and rhythm guitar and see Ringo beat those drums as the whole group rocks the song to its max. Rock on, guys, and check out that book! 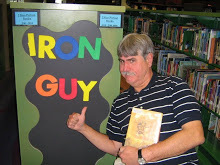 Iron Guy, if you do the math, it will be young readers GRANDPARENTS with the Beatles vinyl. That said, my high school daughter adores the Beatles, and listens to my Billy Joel vinyls! I was trying to be charitable to those with the albums--or maybe walking in denial since I'm one of those who HAS the vinyl albums. Glad your daughter likes the Beatles. My 14-year-old daughter adores them too and has memorized not only the songs on their Number 1 Hits cd but also the order of the songs on the cd--just as we did in the days of their vinyl albums!